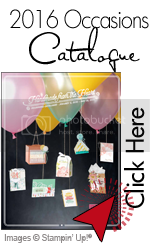 We chose the Joy fold style of card for the invitations. 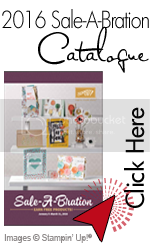 It is such a fun type of card and works well as an invitation. Mikasa has chosen Melon Mambo, Yoyo Yello and Only Orange as her wedding colors. She wants NO black in sight! We made flower embellishments with the Sizzix Daisy #2 die and crystal brads to keep the invitation closed. We attached the engagement photo of Mikasa and Kevin to the bottom flap of each invitation which finishes them off nicely. The photo was taken on a beach in San Diego so fits great with the casual but fun feel of the invite. I’ll be back tomorrow with a card I made for stamp club swaps we will be doing in June. Beautiful invitation. I love the color combination. Best wishes to the happy couple.